Equipment is also available fairly quickly from Leon Paul but note that shipping can be quite pricey and it is better value to purchase a few items at once (or pool your order with someone else from the club). 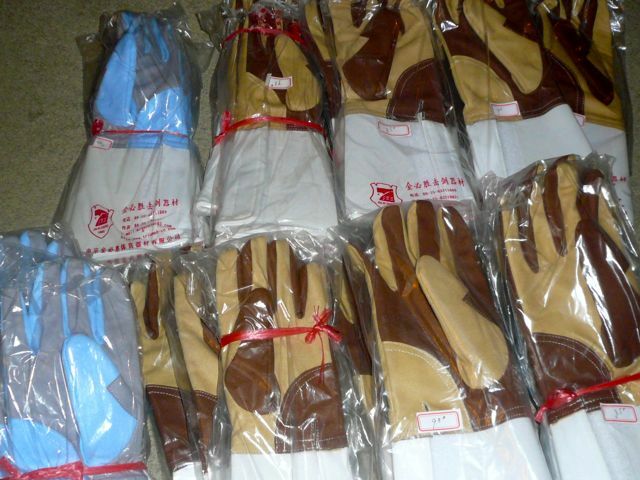 We have fencing gloves, the blue ones are size 8 only, the brown ones are sizes 7 to 9.5. Sizes are on the small side, so you may require a half size larger than you usually wear. There is also a small selection of mostly larger sizes available in black & grey. We will get more when we can! 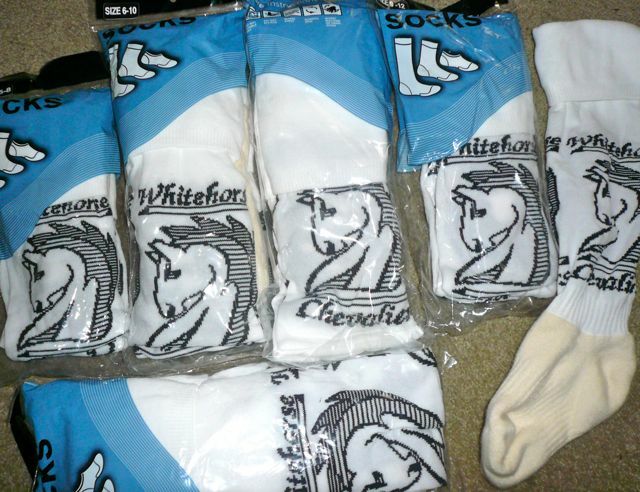 Knee-high socks with the club logo on them, great for fencing in. Red, with the logo and back design embroidered in white. They are generously sized, you may be a size smaller than your usual. These are a high quality mid-weight polar fleece jacket, with pockets and full-length zip. 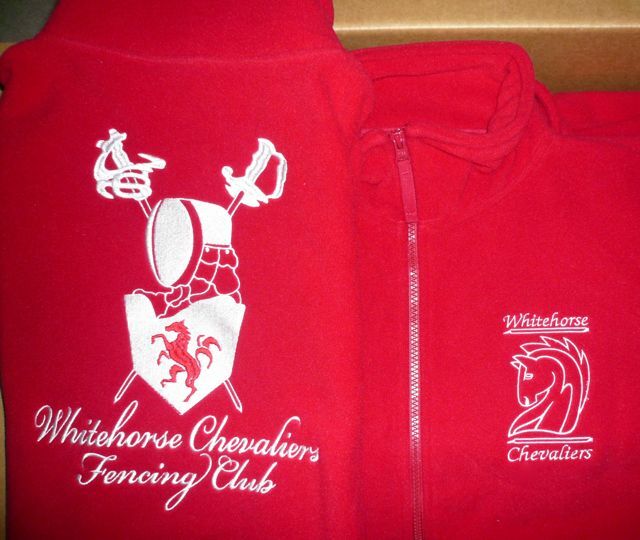 Perfect for wearing over your club t-shirt before and after fencing during cold Melbourne weather. Available in mens, womens and kids sizes for the perfect fit. Red, with the logo embroidered in one corner. 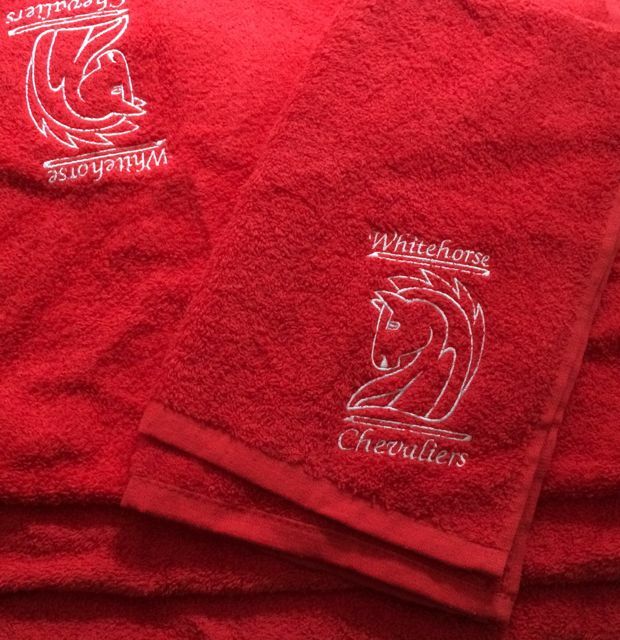 37cm * 60cm, 500gm2, 100% cotton terry sports towel. Why do you need a towel for fencing? – Wiping the perspiration from your browYou might want to change the order you do those things – or buy more than one towel!